Intel has sold US$1 billion of artificial intelligence processor chips in 2017, the first time the world's second-largest chipmaker disclosed revenue from the fast-growing computing segment that has fuelled sales expansions at rivals such as Nvidia. As PC sales have stagnated, Intel has increasingly been depending on its sales to data centres, which provide behind-the-scenes computing power for mobile and web-based apps. Those apps, in turn, rely on artificial intelligence for features like photo and speech recognition. But researchers widely believe that so-called graphical processors like Nvidia's are better suited to "training" artificial intelligence computer models than the central processor units, or CPUs, that have been Intel's mainstay for decades. At an event for Wall Street analysts at Intel's Santa Clara, California headquarters to explain its strategy, Navin Shenoy, its data centre chief, said the company has been able to modify its CPUs to become more than 200 times better at artificial intelligence training over the past several years. This resulted in US$1 billion in sales of its Xeon processors for such work in 2017, when the company's overall revenue was US$62.8 billion. "The step-function increase in performance led to a meaningful business impact for us," Shenoy told the audience. 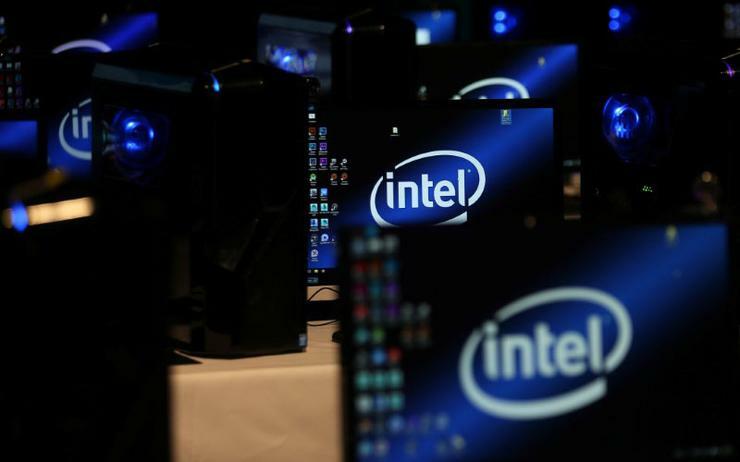 Naveen Rao, head of Intel's artificial intelligence products group, said the US$1 billion estimate was derived from customers that told Intel they were buying chips for artificial intelligence and from calculations of how much of a customer's data centre is dedicated to such work. "Honestly, it's probably a lot higher. We left a lot on the table because we wanted to be conservative," Rao told Reuters in an interview. The new number is important because Intel's stock dropped last month after it delivered earnings that fell short of Wall Street's expectations for its data centre business. Intel also said then its newest generation chips would be delayed until 2020, leading analysts to worry it will lose data centre share to Advanced Micro Devices. "Intel must be very confident in its (artificial intelligence) roadmap and future performance given it committed to a revenue number, as analysts will ask them every quarter about it," said analyst and former chip executive Patrick Moorhead of Moor Insights & Strategy. He said the US$1 billion figure was conservative because it only included CPUs and not its other product lines, he said. Why are businesses relocating data centres to Southeast Asia?